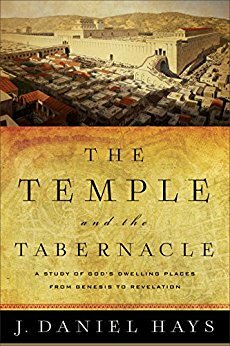 In his book, The Temple and the Tabernacle: A Study of God’s Dwelling Places from Genesis to Revelation, J. Daniel Hays chronicles the sites where God dwelt with His people. Beginning in The Garden of Eden and culminating with the New Heavens and New Earth, Hays takes the reader on an enlightening journey through the biblical record and examines the different vessels through which God displays His Presence. The Temple and the Tabernacle is incredibly well written. Hays takes pains to be clear and concise while drawing distinctions between the Temple and the Tabernacle, and the Old and New Covenants. Without being overly academic, Hays remains true to the context and detail of Scripture, and the logic of the arguments is easy to follow. This is an accessible volume for anyone seeking to enhance his biblical awareness. The theological concepts presented are not only helpful in understanding the Bible as a whole, but also in explaining how these fundamental truths apply to believers today. The Temple and the Tabernacle is a fascinating read and an invaluable resource to any believer who wants to increase his knowledge and understanding of God’s presence in ways that may not have been considered. Hays demonstrates that every verse in the Bible is divinely inspired, and every detail in Scripture fits into God’s redemptive plan. For these reasons, I highly recommend The Temple and the Tabernacle. This entry was posted in Book review, History, My Book Shelf, reading, Theology and tagged BakerBooks, history, J. Daniel Hays, New Testament, Non Fiction, Old Testament, the Presence of God, The Temple and the Tabernacle, theology. Bookmark the permalink.